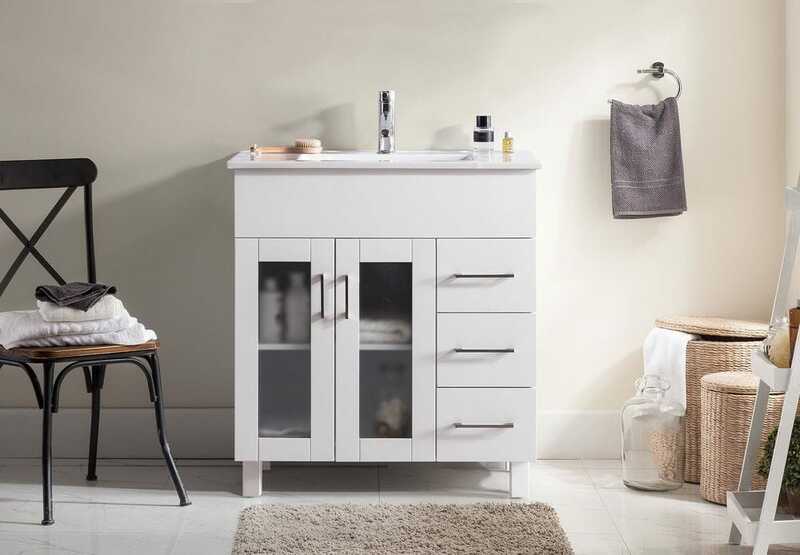 The Nova Collection offers a modern yet contemporary design without sacrificing functionality. This elegant style has 2 doors and 3 full extension drawers with soft closing hinges and rails, so you’ll never hear the door slam. The sleek ceramic basin has a modern rectangular sink that is 18” wide with an overflow to protect from any clogging. 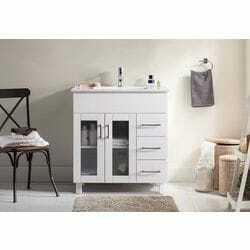 This stylish vanity has immaculate finish options including: White, Grey, Espresso, and Brown.